Finally visited Thong Kee Kopitiam 溏记海南茶室 at Seapark PJ for breakfast. Tried their famous coffee, 1+1; also curry mee and nasi lemak from food stalls in the cafe. 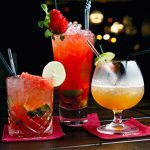 LAVO @ Menara Lien Hoe, Persiaran Tropicana PJ: Dine & Unwind! Lavo at Marquee, Menara Lien Hoe, Persiaran Tropicana PJ – a restaurant lounge & wine bar that goes beyond just food, Cocktail is a must here! 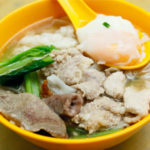 Apollo pork noodles at New Seaview Restaurant 新海景茶餐室 is mentioned as the best pork noodles in Taman Paramount Petaling Jaya. 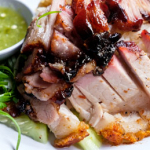 Nice pork broth, but pricey. 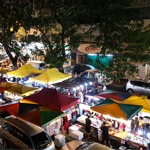 Cheras Pasar Malam, Taman Connaught is KL Best Wednesday Night Market. Buy cheap food, clothes, electronic items, kitchenware and many more!